Naturally moisturizes and soothes a growing tummy. Promotes skin elasticity. Ideal for preventing stretch marks, dry and itchy skin. Safe while pregnant and breastfeeding. The texture is firm but creamy, thus eliminating any dripping during application. Happens when I was using Bio-Oil previously. Upon application, it quickly dissolves and absorbs into skin as seen below. Skin feels moisturized and loved. 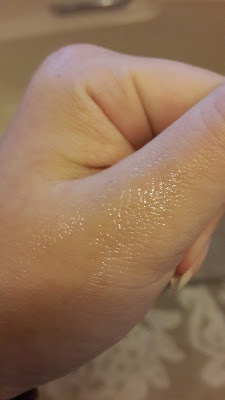 It is waxy, but not sticky at all when I have my clothes on immediately after application. Until now, there is no indication of stretch marks nor dry and itchy skin. Apparently genes play a big part of it, but so far I have not experienced any dry or itchy skin either, so it's all good! It has a subtle smell of coconut. 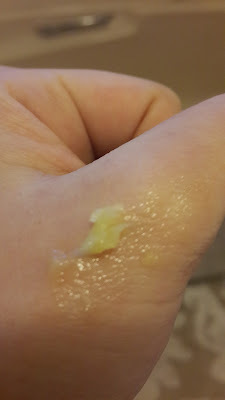 I can't smell it after applying the wax, just on my fingers that I used to apply. I use about R2 coin for each application, and sometimes use a bit more just to make sure I cover every inch of my growing belly. It comes in a 125g tub with the price of ZAR90. I find the price reasonable as the tub is fully filled and cream is very compact! 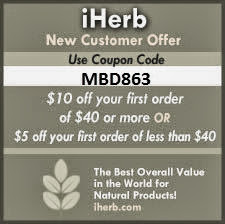 I love that all their products are made from 100% natural and certified organic ingredients. For me, I believe that products produced out of passion and love never fails as they always promise good quality. 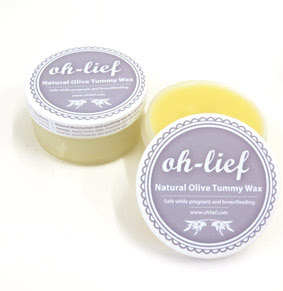 However, I still recommend you pregnant mummies to try this tummy wax that is free from all nasties, especially if you are using Bio-Oil currently. This is my first Oh-lief product, but I am keen to try other products from them. Thanks for your review, I would love to try this. I am currently 6 weeks pregnant and is using Bio-Oil.